Our Data Projects – Pitches and commissioning session. Are you interested in how we can increasingly work with data, for the benefit of the residents and guests to Bristol, humanity and our planet at large? 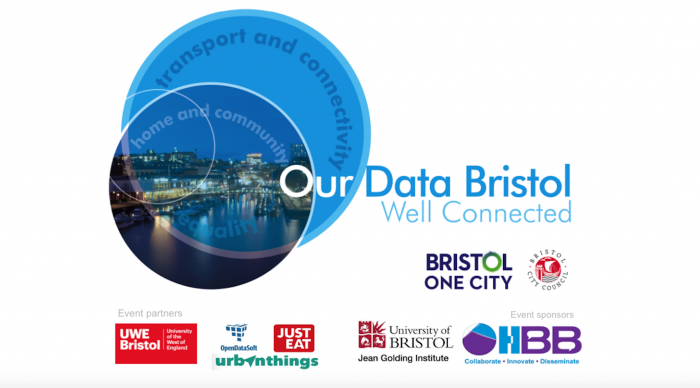 Both events will engage participants in the exploration of how we utilise open data from the Bristol API and Open Data Bristol platform. Focus will be on creating tangible value around the thematics of Transport and Connectivity as well as Homes and Communities. We would also like to thank the University of Bristol’s Jean Golding Institute and High Tech Bristol and Bath BB CIC for their support of the events.